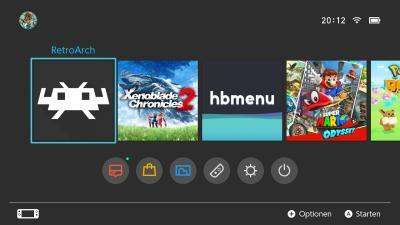 Being able to launch RetroArch straight from the main menu instead of having to boot Hbmenu first. The Mupen64plus core requires more memory to be allocated than Hbmenu currently allows for. Mupen64plus will only work through the NSP file. You can grab this from our Downloads page here. WHEN USING THIS, YOU NEED TO BE PREPARED THAT A REAL RISK EXISTS THAT YOU MIGHT BE BANNED [FROM NINTENDO’S ONLINE SERVICES]. USE OF THIS FILE IS THEREFORE DONE AT YOUR SOLE RISK AND IS WITHOUT WARRANTIES OF ANY KIND BY US, EXPRESSED, IMPLIED OR OTHERWISE INCLUDING WARRANTIES OF TITLE, FITNESS FOR PURPOSE, MERCHANTABILITY OR NON-INFRINGEMENT. Under no circumstances are we liable for any damages arising from the usage of this file on your Nintendo Switch. New Switch cores! 49 Cores now! Just a few days after launch, we already have a few new cores for the Nintendo Switch available for Nintendo Switch! You can grab these new cores by going to ‘Online Updater’ -> ‘Update Cores’ from within RetroArch, and downloading them one by one. You will need to install RetroArch NSP and boot it straight from the main menu in order to be able to use this core. Mupen64plus requires more memory to be allocated than Hbmenu allows for. The framerate right now is not great. This is as a result of there being no dynamic recompiler right now, it just uses a cached interpreter core instead. NOTE: Everybody is completely aware of the lacking performance of the current Mupen64plus. This is simply a proof of concept for now. Remember, once this bounty (which has amassed so far an amazing $1K+ in little over a week) is finally completed, most games will be running at fullspeed effortlessly on Switch with this emulator! What this core illustrates is that libretro GL works fine on RetroArch Switch. You can expect to see more libretro GL cores being ported over to Switch in the near future. We are excited for what the future holds over this! This is a great homebrew Bomberman clone made by franck. Up to 8 players can play locally, and you can even setup AI bots that will play against you in either singleplayer mode or multiplayer mode. This should be a perfect fit for the Switch with one Joy Con doubling as two controllers. This is a Game & Watch simulator. 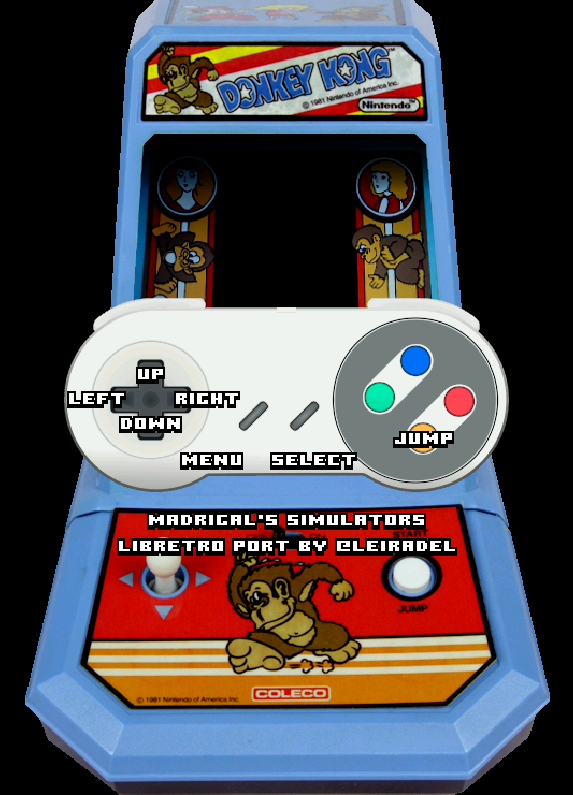 It runs simulators converted from source code for the games available at MADrigal. Each simulator is converted with pas2lua, which was written specifically for this purpose, and uses bstree, which was also specifically written to obfuscate the generated Lua source code as per MADrigal’s request. For more info, read this article here. This core is courtesy of leiradel, who personally ported this over to Libretro. 81 is a port of the EightyOne (a.k.a. THE Sinclair Emulator) to libretro. However, 81-libretro only emulates the Sinclair ZX81 with 16Kb RAM for now. Other machines will be added as time permits. Push requests are welcome. The port correctly loads and runs some many games I have around in the p format. tzx format is also supported. EightyOne also emulates some ZX Spectrum machines, but those were left out of this core on purpose. For a ZX Spectrum core for libretro, see the Fuse core. This is a ZX Spectrum emulator. FB Alpha 2012 Neo Geo for Wii – Virtual Memory support! Wiimpathy has now added Virtual Memory support for the Nintendo Wii! Finally, those bigger Neo Geo ROMs that were previously impossible to load on RetroArch Wii can finally be played with FBAlpha 2012 Neo Geo core! It uses the Wii NAND flash as virtual memory. The games also have to be converted/decrypted first to cache files with a PC program called romcnv. 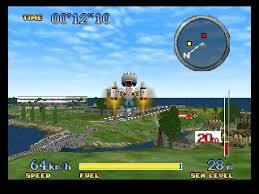 This program is a modified version of romcnv used for MVS2PSP. Note that a few games(SNK Vs Capcom PCB for example) are still too large with this method. You can now play fairly modernish games like Duke Nukem 3D (from an MS-DOS perspective) on Dosbox at fullspeed! But there is more! There is even MIDI playback implemented, and netplay works via IPX. Various crucial graphics bugs have been fixed on both Android and ARM Linux. FMVs should no longer show a black screen and Soul Calibur’s characters should no longer be black (due to high quality textures not being rendered). Threaded rendering mode’s stability has been further increased. A bug existed that caused white lines on the top and right side of the screen. Various games exhibited this. This has now been fixed. Further improved CHD image support. The next thing flyinghead is planning to do is merging both Reicast and Reicast OIT into one, so that we no longer need to have two separate renderers/cores! 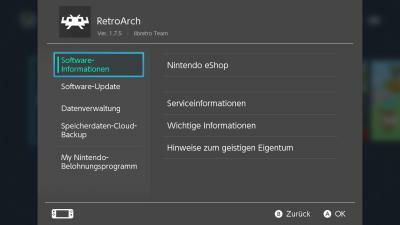 Previous post:RetroArch 1.7.5 – Released!